Adults are not the only ones who love the iPad. Kids love playing with apps on these devices. In fact, the iPad can keep the young ones entertained and make parents’ lives a lot easier. We have already covered plenty of accessories you can use to make the iPad kid-friendly. The iStroll Kid iPad Holder is another product designed for iPad owners with kids. It attaches to your stroller and enables you to entertain your child as you go for a walk, shop, and take on other activities. 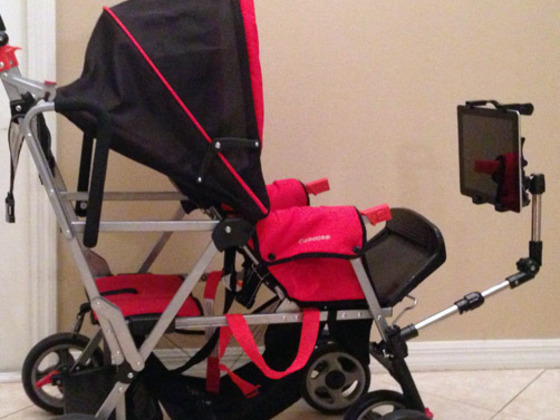 The iStroll holder attaches to your stroller’s legs. All you have to do is enter your iPad into the holder, and you are set. You can connect this to round, square or oval shaped stroller legs. The neck is adjustable too. The iStroll holder looks interesting and is currently being funded on Kickstarter. The idea has potential, especially for busy parents. Your iPhone is more than capable of capturing high quality photos. You just need to make sure you keep your phone steady and capture photos in the right environment. The KLYP case for iPhone 4/4S is a handy solution that supports your phone and can hold photography and video accessories (e.g. a LED light). 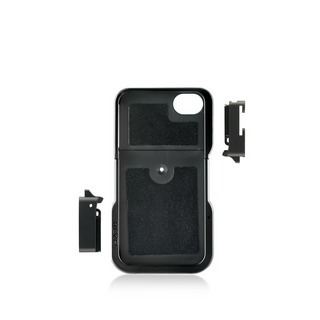 It works as a standard case to keep your gadget scratch free. It includes tripod and light adapters. The KLYP case is available in multiple bundles (with optional light and tripod). Unfortunately, it is only offered for the iPhone 5. It does set you back as low as $34.99.